Personal electronic devices are now ubiquitous and are amazingly empowering. But when the moment comes to recharge, you're reminded of their limitations as you scramble to locate your different charging doodads. 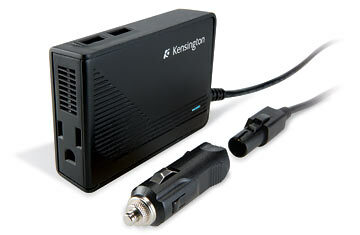 Kensington's power inverter can liberate you, turning your car into your new power station. Just plug the device into your dashboard cigarette lighter, and you can charge three gadgets  one through the inverter's standard power outlet and up to two other devices via USB. You don't have a reason to be off the grid anymore.